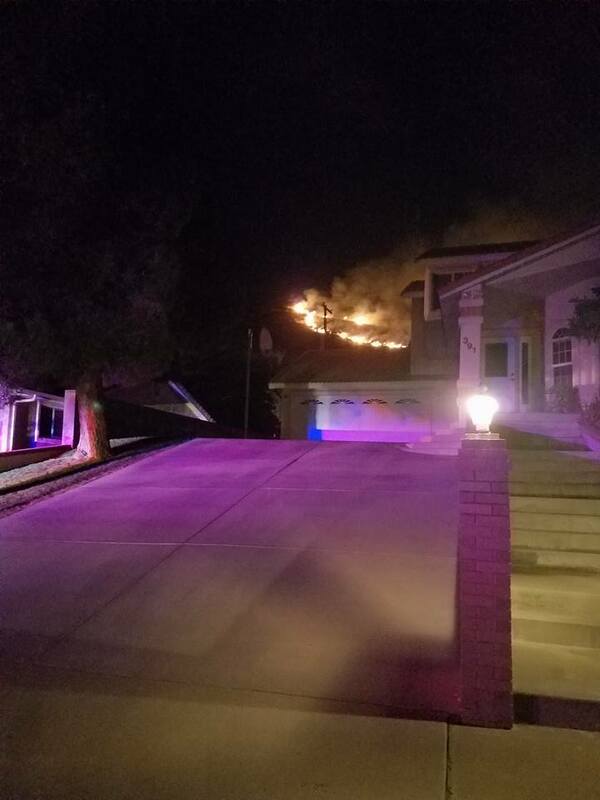 ST. GEORGE — Firefighters from all eight St. George Fire Stations were called out to extinguish an early morning blaze that burned a few hundred feet from many homes Sunday morning. 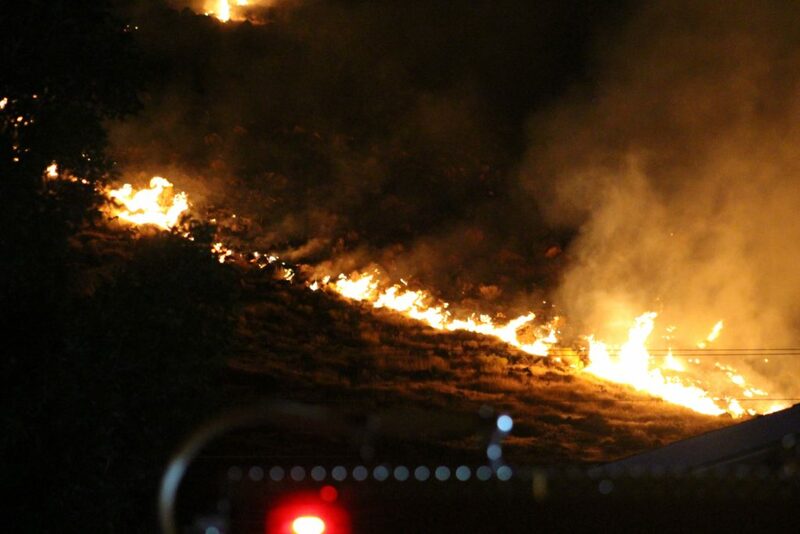 Just after 1:30 a.m. firefighters were dispatched to a reported brush fire on the Black Hill in the area of 300 Donlee Drive in St. George. 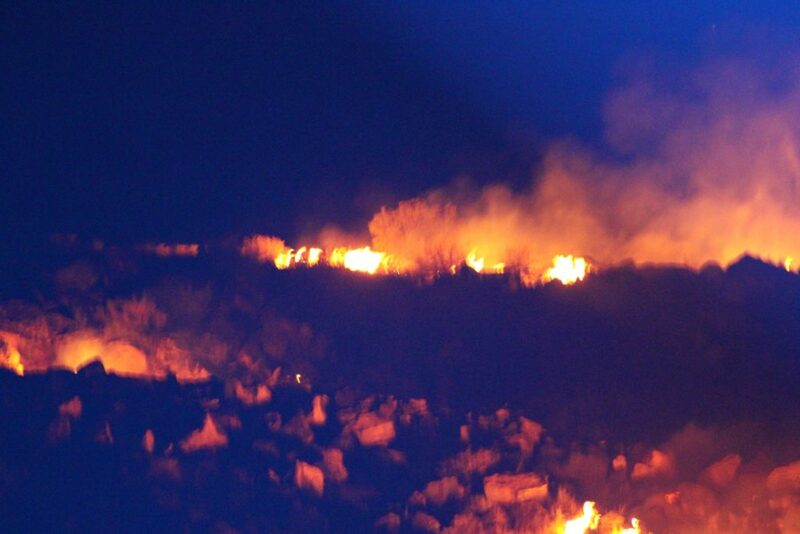 As fire crews arrived they found an active fire on both the east and west side of Black Hill, St. George Fire Chief Robert Stoker said. Access to that area is difficult, the chief said, and even with the five brush trucks at the scene firefighters still had a difficult time getting water to the fire, primarily due to the steep, rocky terrain that stood between firefighters and the blaze itself. See more – watch the video top of this report. If the fire had continued spreading north then it would have made an already difficult situation worse, he said, as firefighters were unable to reach the fire with the brush trucks. 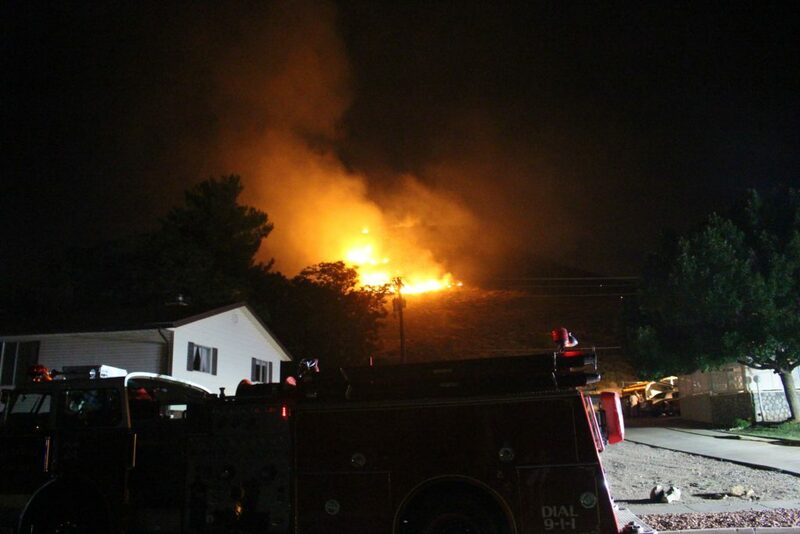 Instead they fought the fire by pulling hoses from the brush trucks to the fire’s edge and fought it from there. Another big concern for firefighters was the homes on Donlee Drive and on the west side of the hill, some sitting a few hundred feet from where the fire burned. The fire was influenced by wind, Stoker said. 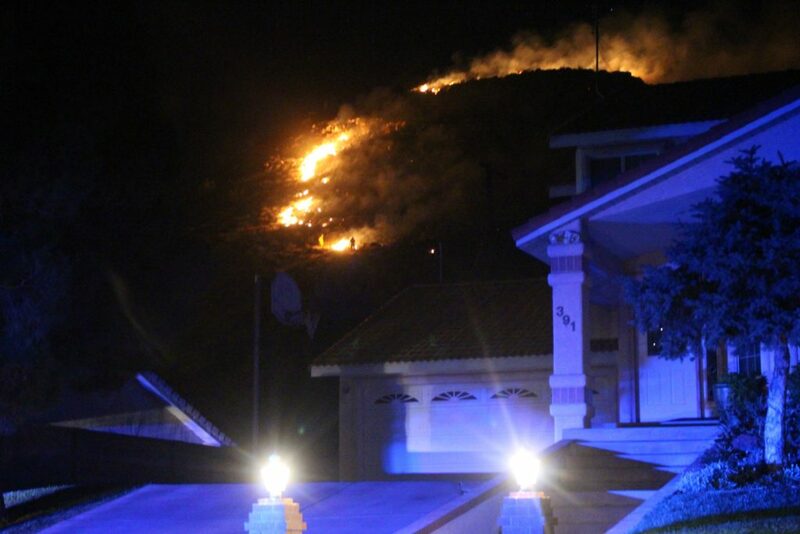 As the direction of the wind changed so did the fire and began for a short time moving downslope toward the homes. 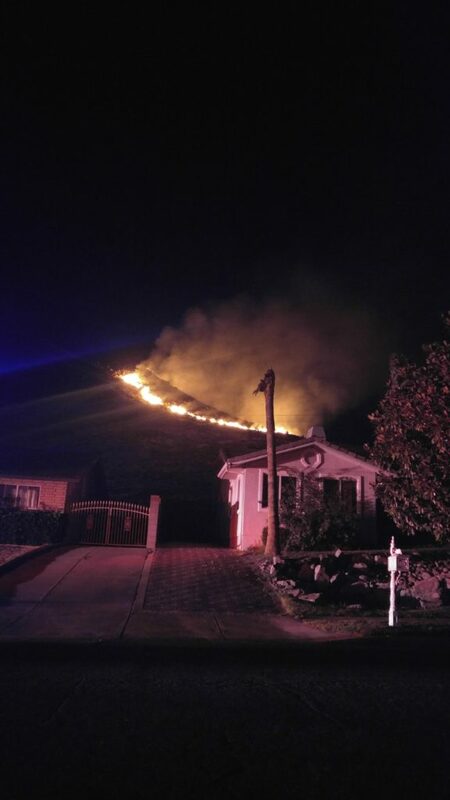 At that point, emergency crews set up protective lines around the homes and the crews began hiking up to the fire equipped with bladder bags, which are bags of water worn like a backpack that hold approximately 5 gallons of water with an attached hose and nozzle. The wind then moved the fire in on itself. 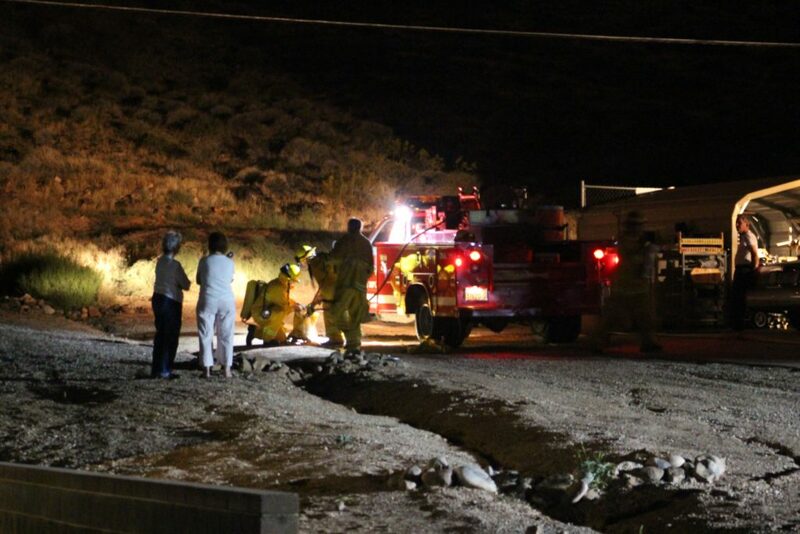 Ultimately, no homes were evacuated although clusters of people were outside their homes in their pajamas keeping watch. The access road on the east side of Black Hill was used as a firebreak; that is, a gap in vegetation or other combustible materials that acts as a barrier to stop the fire from spreading. 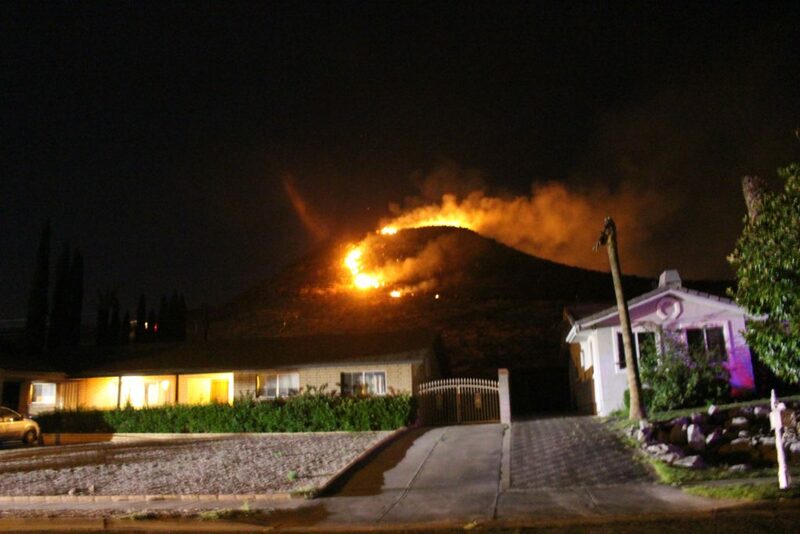 There were no firebreaks to the west or north of the fire, so firefighters concentrated on those areas first and were able to extinguish the fire there before attacking the blaze on the north side – over the hill and down toward the Valley View area of St. George. Cheatgrass is the dominant vegetation on the hill, Stoker said. 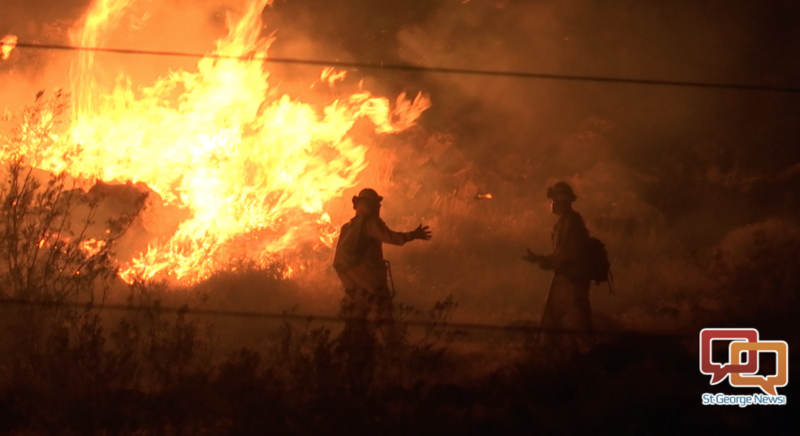 It is considered light fuel for the fire, but the wind did change directions a few times while St. George firefighters fought the fire. This caused them concern. Firefighter safety is a priority, Stoker said. There were 25 firemen engaged in fighting the fire, he said, but no injuries were reported despite foot and ankle injuries being fairly common when crews are working in the type of steep and rugged terrain found on the Black Hill. 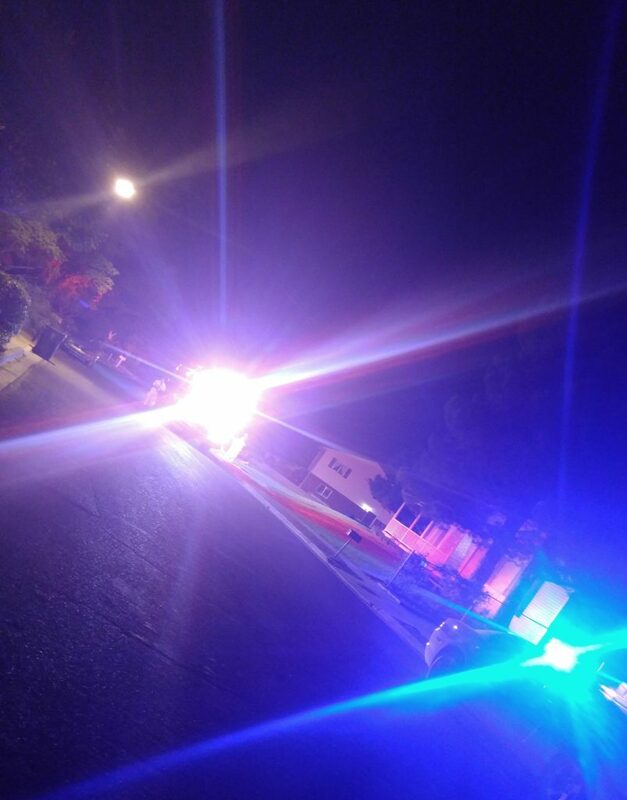 Several witnesses at the scene reported seeing fireworks being set off in the area, Stoker said, but they were unable to provide specific information. As this report was taken, authorities could find no witnesses who actually saw someone lighting off fireworks. 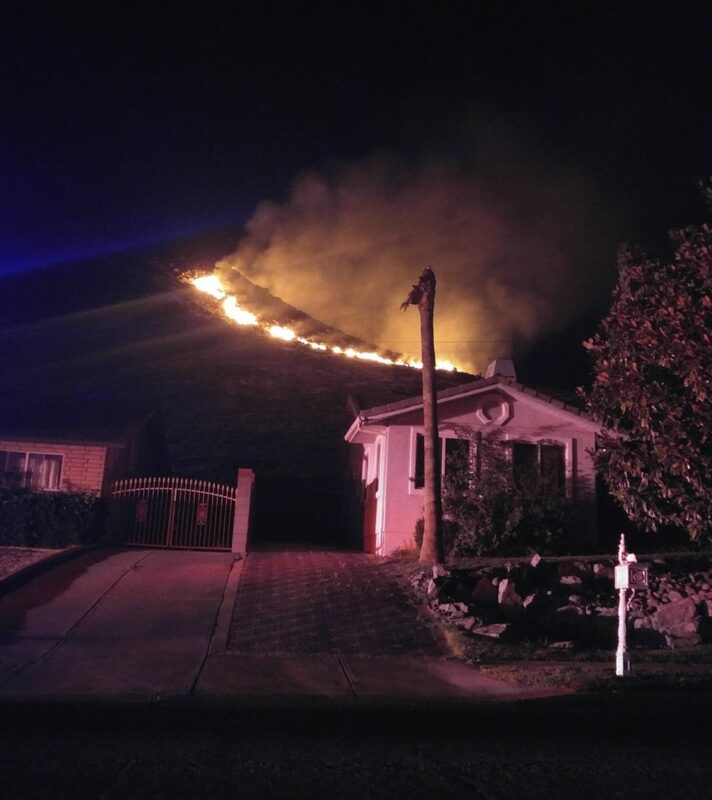 The chief asked that the community remember fireworks are prohibited in certain areas of the city; Black Hill and the surrounding area is one of them, he said. Only light fireworks in driveways or other locations clear of vegetation or other combustible materials, Stoker said. Remember to keep a bucket of water nearby as a safety precaution and use it to make sure everything is out. Soaking used fireworks before discarding them in the trash is also important, he said. Let’s celebrate the pioneers by blowing up gunpowder from China, and burning the neighboorhood down! what is the make-up of the st george fire dept? all professional? mixture of professional and volunteer? I know right where that is and the road is a little sketchy for something other than a Brush truck. SG city repeater was located on top of the mesa. Techs hated to go up and service the repeater because they got cut tires from sharp rocks going up that access road.